Don’t let an injury sideline you or any ball player in your family! 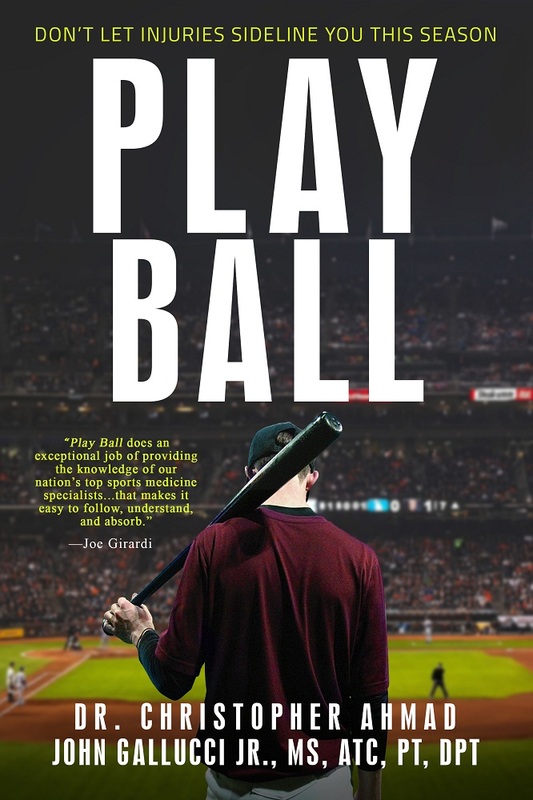 Through years of working hand-in-hand, Dr. Christopher Ahmad – Head Team Physician for the NY Yankees – and John Gallucci, Jr., DPT – President and CEO of JAG Physical Therapy – have witnessed a slow-motion epidemic of arm injury in young baseball players. In response, Ahmad and Gallucci teamed up with a mission to create a true resource for coaches, parents and athletes to learn more about how to prevent injuries, as well as the recovery process if an injury is sustained. Join us Tuesday, June 26 for a Q&A with Ahmad and Gallucci and signing of Play Ball: Don’t Let Injuries Sideline You This Season. Museum doors open at 5:30 p.m. Q&A at 6 p.m., followed by the signing. Signed copy $20. To reserve your copy, call the Museum at 973-655-2378. Signed books can also be shipped. After the signing, catch the NJ Jackals play against the Salina Stockade! Game starts at 7:05pm.